The CVO FIRE WAVE is a high quality gas fireplace with unique design features. 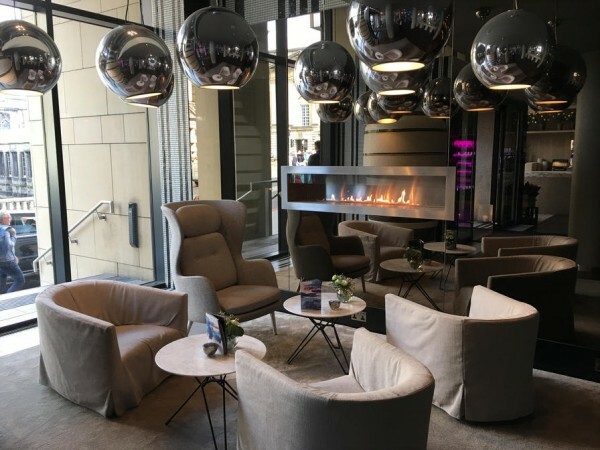 This 1500mm wide gas fire has been designed to create a stunning landscape ribbon of flame, or “WOW” factor, for any domestic or commercial property. 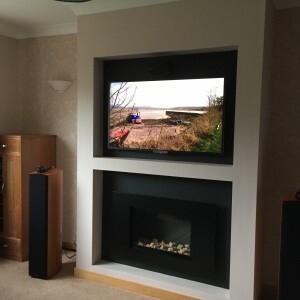 The fire is the perfect size for mounting a 60″ TV above (see images for examples). Available with many finishes and options – Only 178mm Flue Required! The CVO FIRE WAVE is a high quality gas fireplace with unique design features. 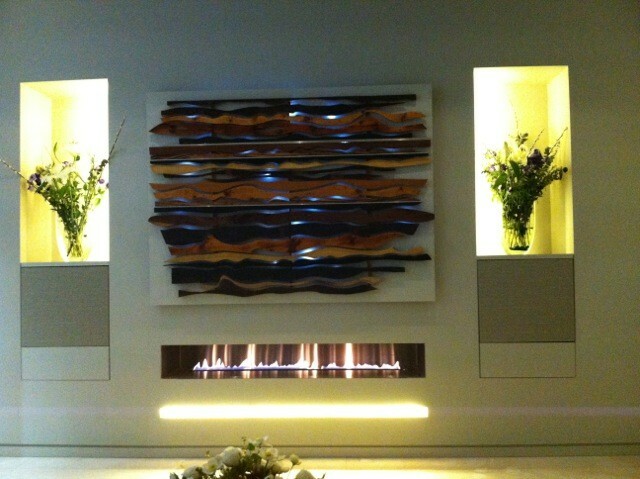 This 1500mm wide gas fire has been designed to create a stunning landscape ribbon of flame, or “WOW” factor, for any domestic or commercial property. 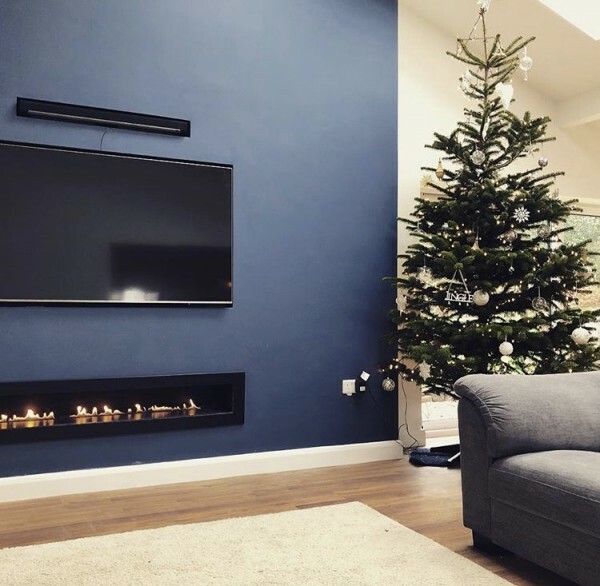 The fire is the perfect size for mounting a 60″ TV above (see images for examples). 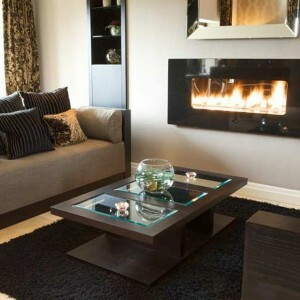 This 11Kw gas fire has unique features which set it aside from any other fireplace on the market. Designed to allow easy installation into both new and old properties with the minimal amount of cost and building work. 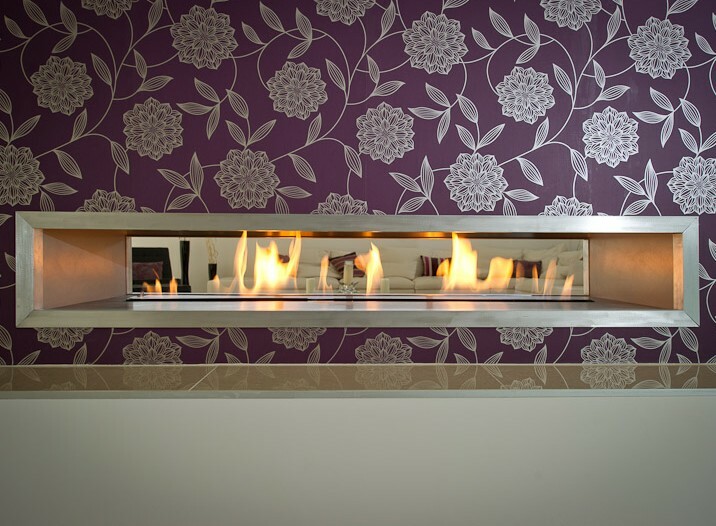 The 11kw ribbon gas burner has a flame which dances within the enclosure. 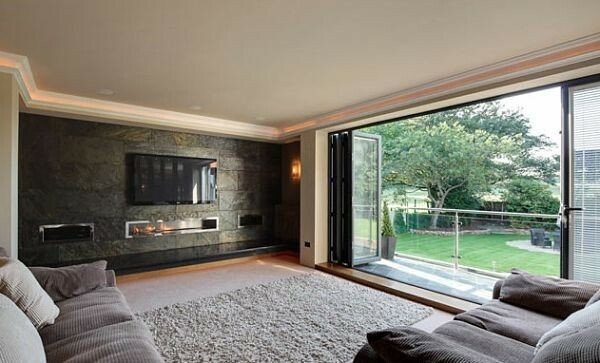 This is a very large and impressive fireplace that will add a unique interior design aspect to the room. This fire is installed in the Double Tree Hilton London, the Fairmont Hotel in Abu Dhabi and many properties in the UK, Europe, USA and Australia. 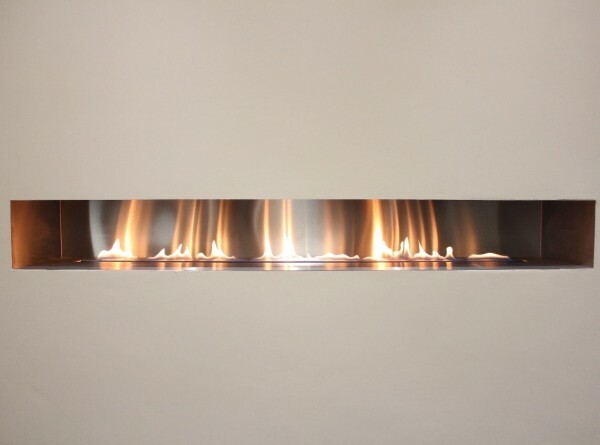 The fire is normally installed as frameless however there are a wide range of trim options available, plus there is a double sided or see through version available. SIZE CHOICE – there are two versions (see technical drawing). 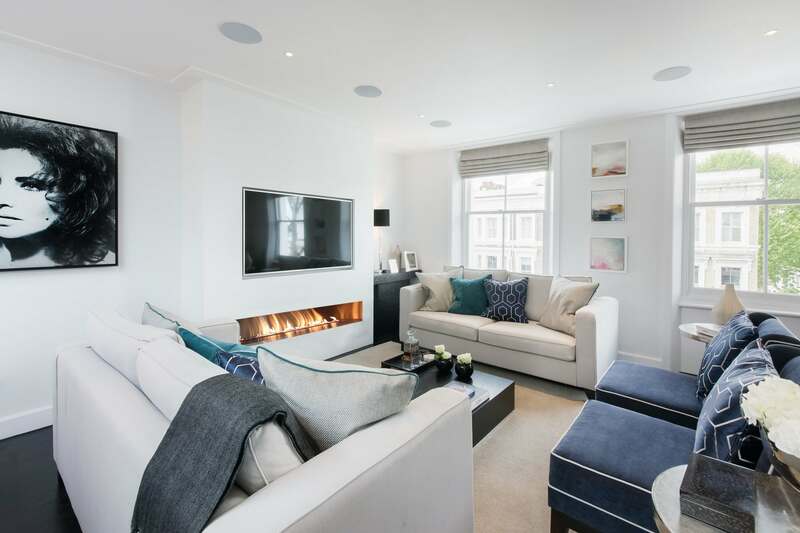 DEPTH : This fire requires only 317mm depth and is suitable for most old and new build properties. GATHER : Our fireplace includes a gather with a 175mm spigot. This ensures the maximum efficiency and flame quality. The 11kw gas burner is operated by new modern battery powered remote system meaning only a gas connection is required. The remote system features BOTH a thermostatic and sleep timer function. The digital handset can be set to the desired room temperature and will then turn the flame up or down automatically to conserve energy and reduce gas bills. The Fire Wave is available for either natural gas or lpg and has European wide CE approval. All CVO products are hand made in the UK using locally purchased materials and is on live display in our Northern showroom. Enclosure: Choose from Brushed Stainless, Black, Polished, black and Brushed Mixed Steel. Ceramics: Choose as a clean ribbon flame or add logs or pebbles. Fascia: Brushed Stainless Steel, Satin Black Steel, Limestone, Black Granite and many others upon request. Gather: The gather is supplied with the fire and must be used. The gather has a 178mm spigot. I am thrilled with your help and brilliant service. Fantastic fire, exactly what was advertised.